Close more insurance sales by using these four proven concepts. Closing a sale is an art. It is a process and that process consists of several key steps that lead the prospect to say YES. Getting the prospect to that point can be achieved using the closing pyramid process. The art of closing a sale is something that needs to be developed over time, via trial and error. This period of time is called experience. There are no shortcuts; however the information in this article will hopefully accelerate that learning curve. I only wish someone provided me with the information you are about to receive. It would have saved me several years of heartache. 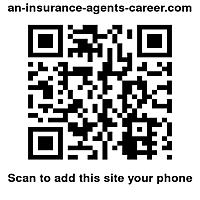 The biggest mistake made by most agents is that they think they are in the insurance business when they are really in the people business. Learn more on how to close more insurance sales by using these four proven concepts. Watch this short video that explains the closing pyramid concept..
Are you having problems with your presentations and closings? If so, then maybe you should take a quick peek at these financial planning software tools and ideas. I personally used financial planning software to help put me over the hump when I first stated selling. These software presentations provide a professional presentation and remembers everything for you.